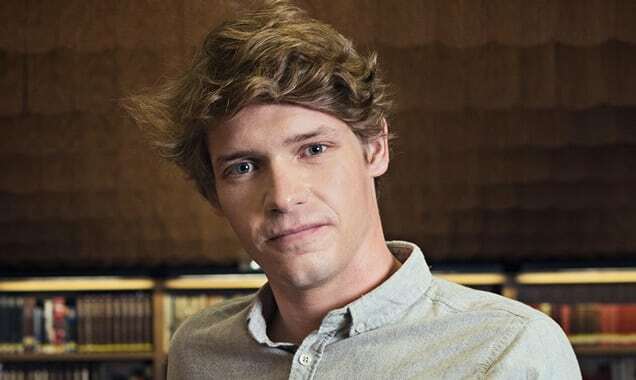 Last week I had the chance to meet with Billy Howle, star of a new film adapted from Julian Barnes’ Booker Prize winning novel The Sense of An Ending. The film is directed by the brilliant Ritesh Batra and stars Billy as the younger version of Tony, who also played by Jim Broadbent in later years. We spoke about the casting process Billy went through and a number of other things relating to his character in the film. LM : How did you come to be cast in the movie? BH: Yeah, we went through the normal protocol really, I was sent the script first off all, had a read of that and expressed an interest. We did sort of three rounds of auditions and then Ritesh started to assemble a cast, putting one actor opposite an other actor to see what the chemistry was like. So it sort of went from there. I mean…. when I read the script it actually took me back to the novel, so I re-read that, and it was really nice to revisit it, and from there we started to recreate the world of the film. LM: How did it feel to put yourself in the mindset of someone who was young in the 1960s? Did you ask yourself how would this guy act, how would he speak? BH: Absolutely! Yeah! I think what’s really nice about doing a period piece, is that you sort of become a historian/detective. You get to really look at that time period and what informs the way that people behave, and how that differs from every other time periods…so a lot of it feels like a process of deduction until you find something that starts to work. It’s a collaborative effort to avoid anachronisms. We don’t want to dress me in the wrong thing or for me to behave out of character for someone from that time period. So it becomes a joint effort, and that’s really lovely, you can really rely on people around you to help you along the way. LM: How was it working with Ritesh [Batra]? Had you been aware of him before? Yeah, I had, I’d seen the Lunchbox, and was a big fan already of that movie. It took me a while to put two and two together actually…but once I did I was even more interested in the project. There’s something sort of irresolute about that film, and that’s really exciting for me. Some of my favourite movies do that and they don’t have to have neat endings that tie up in the end. And I know that Ritesh is someone who isn’t scared to venture into that irresolute territory. And Julian Barnes, the guy who wrote the novel, is the same. LM: Did you get to meet Jim Broadbent, who plays the older version of you in the movie? BH: Yeah, Jim and I sat down quite early on in the process and sort of discussed who we thought Tony was, amongst many other things, and really got to know each other as people and as actors. Because we knew we weren’t gonna be together on set, we had a kind of responsibility to try and pass across the appropriate messages, through Ritesh, that would allow us both to do our jobs and hopefully create a whole person, and I think, I hope we managed to achieve that. I mean… It wasn’t without problems, but that was a challenged that required a lot of trust and I and Jim and definitely trusted one another. 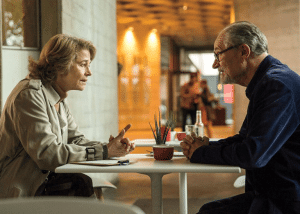 The Sense of an Ending is in cinemas from Friday April 14th.